"Another Mistake is a powerhouse chapbook. This is a hyper-awake, penetrating, gritty, humane, fearless literary voice. Each of these poems displays exemplary control of the pressurized energies at its core. Another Mistake bears fresh, deeply affecting witness to the speed at which Nicole’s generation lives, loves, hooks up, slaves and suffers. Our need to embrace dark urges and our fucked up origins, to understand and master pleasure and pain, to be wildly alive but also to face the music, it’s all here, articulated with the perfect mix of distance and immediacy. I am an avid fan who hopes a full-length collection is in the pipeline." 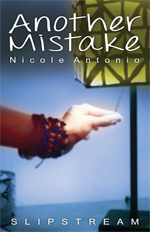 Nicole Antonio studied poetry and screenwriting at the University of Southern California, obtaining both her Bachelor's in English and Master's in Professional Writing. Her work has appeared in The Nervous Breakdown, Watershed, and The Truth About the Fact. 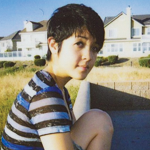 After serving as the Editor in Chief for the Southern California Review, she moved north and now lives in Oakland, California. He usually sleeps through my nightmares. to groan over another restless night. I never stay asleep at his place. teeth tapping mine with too much thrust. our hips kissed with something like relief. in night this dark, it's not just another mistake. painful prices on Made-in-China goods. It’s where the illusion is okay. but just let her light the castle. while he’s still a kid.